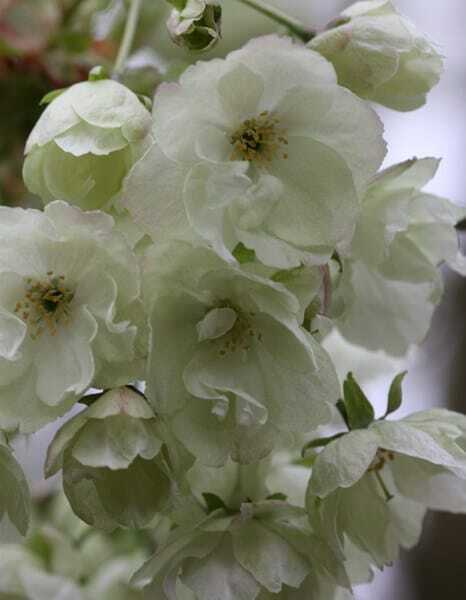 A vigorous Japanese flowering cherry with bronze new foliage which becomes dark green with age. 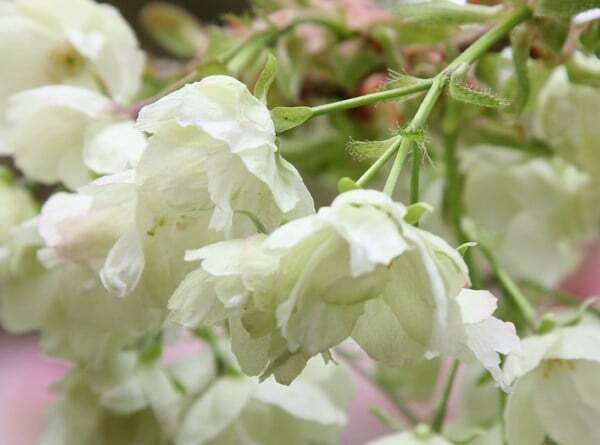 In mid-spring the tree is laden with clusters of double, yellowish white flowers which open from pink buds. 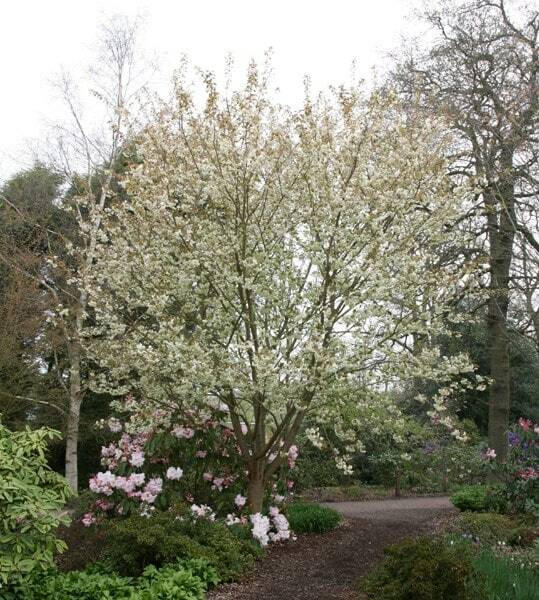 The attractive spreading habit and umbrella-like canopy make this a lovely tree for any garden. Bought this tree in June 2016 to replace a new tree of another species split by wind during gale. 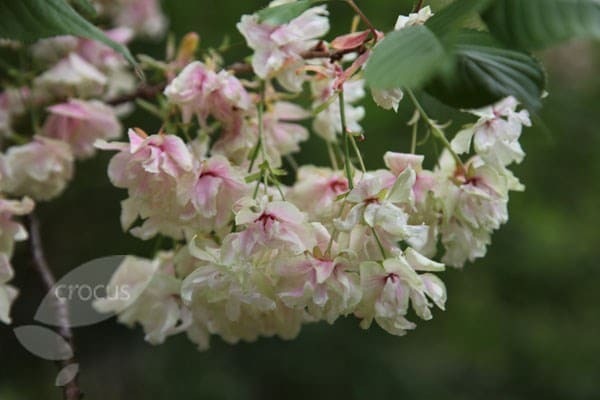 Started well but in late August a growing number of leaves shrivelled and turned brown but remained on tree. Concerned about possibility of leaf scorch, so cleaned off every damaged leaf from what is still a small tree and made sure that none remained on ground during the Autumn by frequent clearing up. Now March 2017, tree covered in what seem to be healthy buds, so I am waiting to see what happens this summer.